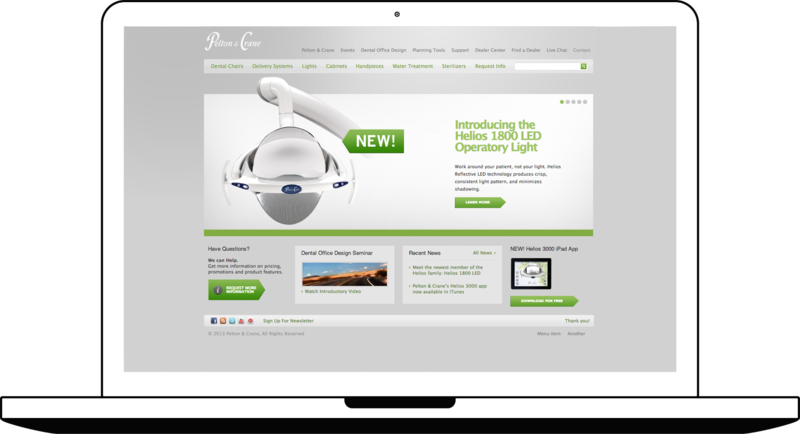 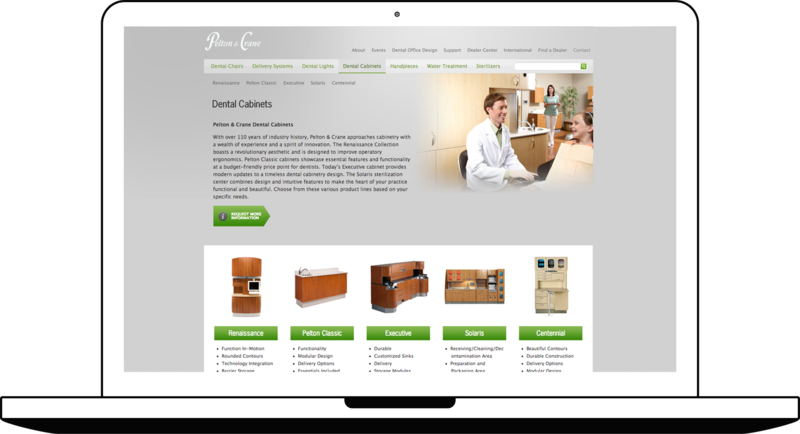 Pelton & Crane needed a way to showcase their dental equipment, as well as provide potential customers with details about their products. 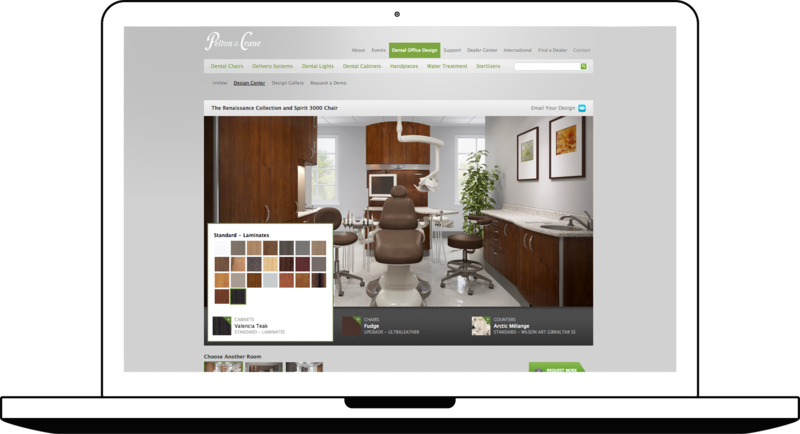 The Design Center allows users who are interested in buying dental equipment to view different color, upholstery and laminate options in 3 room settings. 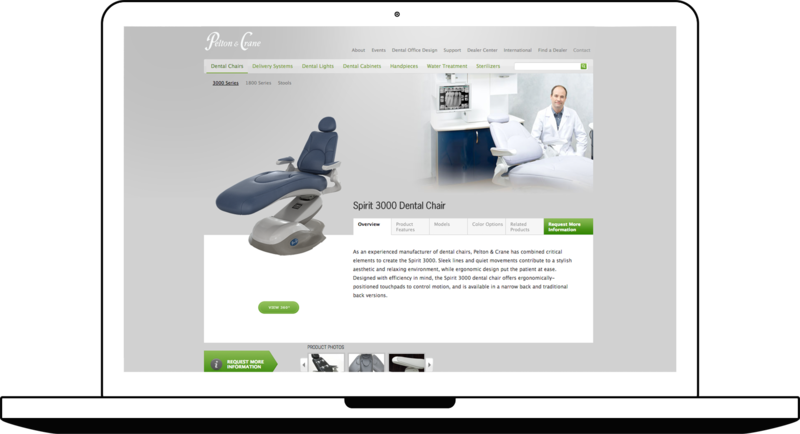 The site is built on WordPress, making content and product management very simple. 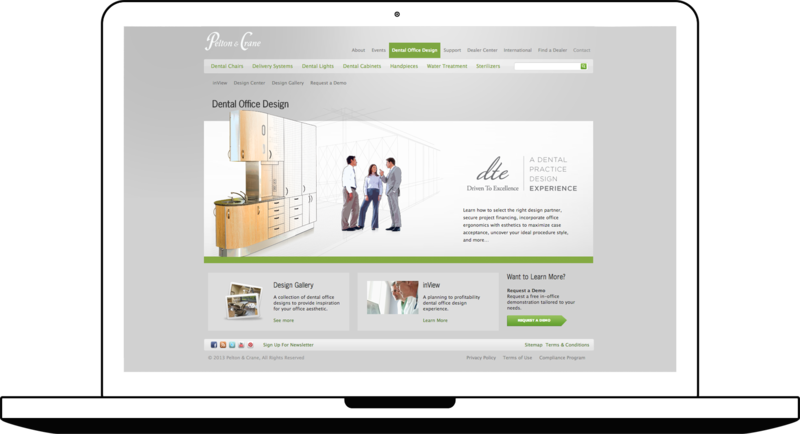 This work was accomplished while working full time at Myjive.